Modest, willing and fiercely competitive. That sums up Bike Chaser’s first Cyclist of the Month, Bill Gordin. If you don’t know Bill already, he’s the managing director and founder of one of Australia’s largest bicycle retailers, Bike Force. 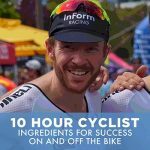 Not only that, he’s a former Australian National Road Champion and currently holds the Australian Masters title for criterium and time trial. Adding to it all, he’s a really top bloke. Let’s take a further look at why Bill is our Cyclist of the Month. Bill is originally from Esperance, WA, 720 km Southeast of Perth on the coastline. As a kid Bill was right into his sports, from athletics through to cricket and footy. In 1972, at the age of 14, Bill convinced his father to buy him a bike. He had ridden one of his mates’ bikes back from school one day and just had to have one. After some toing and froing, Bill’s dad eventually bought him a bike. The bike cost his dad $25, and was the equivalent of a fixed wheel track bike of today. This was the start of a true love affair. Bill’s first observation of cycling was that it was mostly an individual sport. This meant that he was in control of his destiny. If he trained and worked hard, he would get results. He didn’t have to rely on others to pull their weight or have other people’s lack of commitment impact on his own ability. The fiercely competitive beast within Bill could be released…and it was! Within 6 weeks of having the bike, Bill was off racing at the newly formed Esperance Cycling Club. It must have been fate, as it was only a few months prior to Bill getting his bike that the Esperance Cycling Club was formed. Bill’s first taste of racing was a 1000m straight line sprint, and he loved it. So much so that he was racing at state level by the age of 16. Bill was so committed to the cause, that when he was working as a chippy in his younger years, he used to ride for an hour during his lunch break, even in the scorching Western Australia summer sun. Bill knew his competition wouldn’t be going to such great lengths, and this motivated him more. For a period his father used to drive him up to Perth on a Friday which is an eight hour drive from Esperance. On Saturdays he would race on the track, and they would drive back to Esperance on the Sunday. Now that’s commitment from both father and son. It was this commitment which lead Bill to some very high personal achievements. At the age of 18 he was a member of the WA State team that won the Australian Track Teams Pursuit Championships. The next year, he went on to win the Australian National Road Championships, at the age of only 19. Bill’s fantastic achievements from a very young age did not go by unnoticed. Shortly after winning the National Road Championships he was contacted by the Raleigh Bicycle Company. They were setting up their business in Australia and Bill’s victory had caught their eye. He was offered a significant contract to ride across the Nullarbor in the fastest time in history. This was going to be part of Raleigh’s marketing strategy as they went to market in Australia. While the money was significant for a young man, Bill’s coach talked him out of it. It would have been 16 to 20 hours a day in the saddle with over 3000 km to ride in order to break the record. At only 19 years of age, this would not have been a smart move for Bill’s body – but it was a very interesting offer to say the least. With so much potential at such a young age, why didn’t Bill go pro? Back in mid to late seventies, “going pro” and having a stint in Europe wasn’t anywhere near what it’s like today. There weren’t nearly as many teams or divisions, the money wasn’t huge and the commercial exposure was minimal in comparison to today. It would have been a risk and a tough slog that may not have paid off. While Bill isn’t the type of character to turn away from a challenge, he wanted to bring a bit of stability into his life. After having an upbringing which was rather volatile he was looking for some cohesion. He wanted to be in control of his destiny, while continuing to enjoy his love for cycling. Welcome bike shop owner and operator. Following several years of experience in starting and running bike shops Bill started Bike Force in 1991. At the time Bill had a gentlemen’s agreement with 3 other bike shops to trade under the same name and run their shops in a similar way (products, marketing etc.). Over time, these 3 Bike Force shops started to separate, and in 1997 Bill decided to buy the name back off the 2 other participants and start a proper franchise business. There were 2 compelling reasons behind this. Firstly, Bill had a great relationship with his bank manager whom prompted him down this path. “Given the success of your current store, why don’t you look at a franchise model” said his bank manager. Secondly, as you may have already discovered, Bill is fiercely competitive. He was seeing big international companies coming in and buying out Australian retail brands. Not only did he want further stability in his company, but he wanted to take on the big boys and show them how it’s done. Within three months, there were four Bike Force stores in WA. By the time Bike Force reached 12 stores in WA Bill realised that if they wanted to accelerate their growth and continue to open stores, the business needed to expand to the East Coast. Just over five years ago the decision was made to head to Docklands, Melbourne. Not only has this store become one of Melbourne’s iconic bike shops, but it has provided a platform for growth along the Eastern Seaboard. Bike Force now has four stores in Victoria, two in Queensland and 13 in Perth. That’s 19 all up, and growing. Bill’s recipe for success in the business world can in many ways be attributed to the same personal qualities which made him a successful cyclist. As mentioned above, Bill is modest, willing and fiercely competitive. And that’s what you get when you walk into a Bike Force store. Friendly approachable staff who are willing to spend just as much time with a novice looking to spend a few hundred dollars, as they are with an enthusiast looking to spend $10,000. In between running a successful bike business and opening more stores, Bill still manages to get out there and race. Believe it or not, he’s currently the Australian Masters Criterium and Time Trial Champion, titles which he also held in 2011. He frequently sports the Bike Force kit on Melbourne’s Beach Road and is an active participant in working with local cycling clubs, such as St Kilda Cycling Club. He also manages to get away during the year, running Italian cycling holidays. The holidays give Bill great opportunity to spread his love and enthusiasm for bike riding to the tour participants. On a recent trip to Italy Bill was perched up on a mountain top waiting for his fellow participants to join him. One by one they made it to the top, when all of a sudden, Bill heard a tremendous yell. At first he thought someone had hurt themselves, but then he saw a participant by the name of Tony riding up the hill, crying and screaming with a sense of overwhelming achievement. When Tony made it to the top he jumped off his bike and gave Bill a massive hug. He had tears in his eyes and just couldn’t believe what he had just accomplished. Moments like this exemplify what Bill loves about cycling. It’s camaraderie, a sense of achievement, your ability to go above and beyond, and to share these moments with family and friends. All in all, here at Bike Chaser, we could not be happier to have Bill as our first Cyclist of the Month. 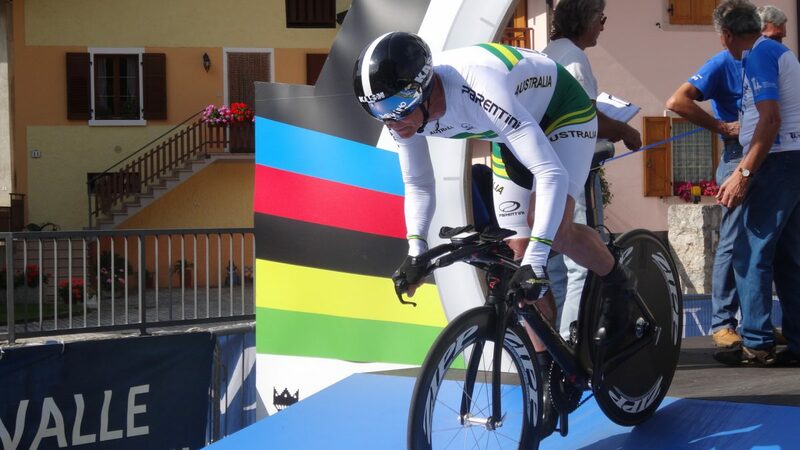 He’s had some great achievements and has given a lot back to the Australian cycling community. From being at the top end of the sport at a very young age through to running some of the best bike shops in Australia, Bill’s done it all. Add to this a strong family man and a genuinely good bloke, and you’ve got yourself a Cycling Legend. What a great article. Bill Gordin is a star and a great ambassador for anyone to get on their bike. Nice work. And thanks for sharing Bill. Thanks Alice. We certainly enjoyed meeting Bill and putting together his story. Top bloke indeed! Yeah i agree! Bill has done a lot in Australian Cycling. Its great to see his story out there. Bill sounds like he would’ve been a pro if he had his time today! Hi Jesse, there is no doubt about it!